Taxation is mostly used by state governments to generate revenue; it is sometimes used as a policy tool to dissuade citizens from the consumption of different products or services. However, the introduction of disparate taxation may lead to unintended consequences. Disparate taxation on cigarettes may lead to the creation and expansion of black markets for cigarettes. It is very important to be cognizant of the unintended consequences of disparate taxation when it is used as a policy tool. Taxation is sometimes used to discourage the consumption of a product or service that is perceived to be harmful for the population. Even though the primary reason for taxation is generating revenue for the government, it is also used to reduce the consumption of goods and services considered harmful for the society. However, the imposition of taxation on these products and services may sometimes lead to unintended consequences like the creation and expansion of black markets that illegally trade these products and services. This is especially true when disparate rates of taxation are imposed on the products or services in different states or provinces of a country or neighboring countries. Smoking is considered a social ill and all governments aim to reduce the number of smokers in the country. A popular strategy of reducing smoking in a country is to tax smoking, which is imposing higher rates of taxation on cigarettes. However, when different states or provinces within a country impose various rates of tax on cigarettes, the prices of cigarettes will vary in the various states or provinces. In Canada, the provinces levy different rates of provincial tax on cigarettes. While the federal tax is a flat rate of $21.03 on 200 cigarettes, the provincial tax varies from $27.95 in Ontario to as high as $58 on 200 cigarettes in Manitoba. 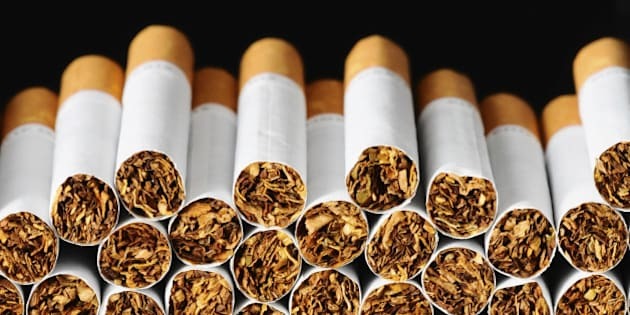 The imposition of high taxes increases the price of cigarettes that make it financially lucrative for criminal gangs to manufacture and sell illegal cigarettes that evade taxes on them. As they evade taxes, illegal cigarettes sell below the market price, making it financially attractive for smokers to buy them. This leads to the creation and expansion of black markets for cigarettes. It further attracts criminals to engage in the illegal operation of black markets for cigarettes. Illegal cigarettes may pose a health risk to smokers that may put additional burden on the health system of the country. Again, the revenue generated in the black markets for cigarettes may be used to foster other criminal activities which is undesirable for any society. Cheap illegal cigarettes may be especially lucrative to young smokers as they have lower levels of disposable income and are more willing to buy the cheaper product. Instead of dissuading smokers, especially new smokers, from smoking, the high prices of cigarettes that originate from high taxes may lead them to buy more illegal cigarettes. On the other hand, the disparate provincial taxation on cigarettes leads to different prices of cigarettes in the different provinces. This may make it financially lucrative for an individual to purchase cigarettes in a province with low provincial tax on cigarettes and sell it in another with higher provincial tax on them. This act, which would be illegal, would also deprive a province of revenue generated from taxation. Whenever a tax jurisdiction has high tax rates on cigarettes, there would be strong financial incentive to sell illegal cigarettes that evade taxes. The same issue is observed in the United States. According to the article, "Smuggled Smokes: Nannies v Al Capone" in the Economist, a pack of 20 cigarettes costs $13 in New York and only $5 in Missouri. It is a consequence of disparate taxation on cigarettes in the different states. According to the article, New York has high tobacco taxation which results in 58 per cent of cigarettes in the state being illegal. Therefore, even though taxation on tobacco may have noble objectives of dissuading smokers from smoking and decreasing the number of smokers, it may lead to unintended consequences. The high tax may very well lead to the expansion and creation of black markets for cigarettes that may put smokers at risk of smoking sub-standard illegal cigarettes and deny the state of revenue generation from tobacco tax. The same issue is observed with disparate taxation between different countries and, particularly, between countries with state governments and tax havens. As tax havens impose zero rates of taxation on capital gains, it makes it financially lucrative for investors and companies to be registered there. The prevalence of low to zero rates of taxation attract financial flows from other tax jurisdictions to the tax havens. Also, the existence of lax laws and secrecy in tax havens attract illicit financial flows to the tax havens. These financial flows, especially illicit, to the tax havens, may be further invested in illegal and criminal activities like money laundering, financing terrorism or drug trafficking. This may lead to an increase in illegal activities or the operation of black markets in various parts of the world. Therefore, tax havens attract financial inflows due to liberal tax rates that may lead to the creation and expansion of criminal activities and black markets in different regions of the world. Taxation is mostly used by state governments to generate revenue; it is sometimes used as a policy tool to dissuade citizens from the consumption of different products or services. However, the introduction of disparate taxation may lead to unintended consequences. Disparate taxation on cigarettes may lead to the creation and expansion of black markets for cigarettes. Again, tax havens that offer disparate taxation on capital gains relative to other tax jurisdictions may lead to the development and proliferation of criminal activities and black markets in various areas of the world. It is very important to be cognizant of the unintended consequences of disparate taxation when it is used as a policy tool.